Safe use of art or craft materials requires awareness and training. A host of toxic industrial chemicals and environmental pollutants, including lead, cadmium, mercury, asbestos, cancer-causing dyes and pigments, and brain-damaging hydrocarbon solvents, are often found in these materials. 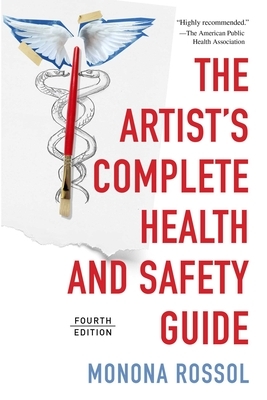 Newly revised with the most up-to-date information on safety requirements and protocols, The Artist’s Complete Health and Safety Guide is required reading for anyone who regularly uses or teaches with art and craft materials as well as for professionals who design or maintain art facilities. Monona Rossol is a chemist, artist, industrial hygienist, and founder of ACTS (Arts, Crafts, and Theater Safety), a not-for-profit corporation dedicated to providing health and safety services to the arts. She holds degrees in chemistry and art, and since 1977, she has worked as an industrial hygienist specializing in visual and performing arts hazards. A full member of the American Industrial Hygiene Association, among other organizations, she lectures and consults in numerous countries around the world. Monona also provided the industrial hygiene specifications for ventilation and safety equipment for more than eighty new buildings, including the University of Wyoming’s Visual Arts Facility, which won the American Institute of Architects committee on the environment award as one of the top ten buildings for environmental design in 2016. She lives in New York City.